"In the past year, the Australian Government has worked with Kokoda Initiative partner agencies to support more than 75 campsite and guesthouse owners to learn about accommodation standards and ways to meet the needs of trekkers"
Before taking on the management of his family’s guesthouse at Efogi along the Kokoda Track, 24-year-old Benson Morgan had no small business training or experience. After dropping out of school in grade 10 and struggling to make a living, he needed to find a way to earn money to sustain his family. “To survive along the Kokoda Track, you have to work to earn money, you cannot rely on garden food alone. We need basic supplies like salt, soap, cooking oil and sometimes rice to keep us going,” said Benson. He started working as a porter in 2013, while also supporting the family business by bringing trekkers when walking the track. But Benson was keen to develop the campsite further to earn more income. 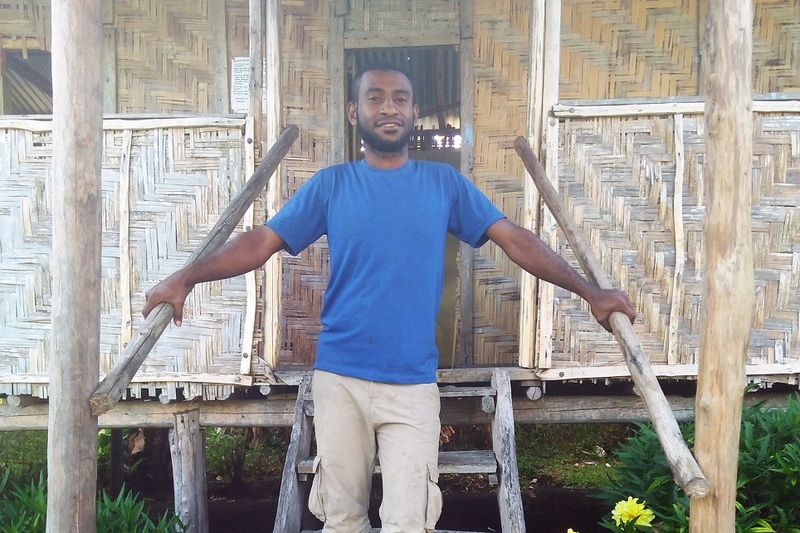 In 2016, he attended a course for campsite and guesthouse owners as part of the Papua New Guinea Tourism Promotion Authority’s (PNGTPA) Accommodation Accreditation Scheme. The scheme is being delivered through the Kokoda Initiative and is introducing industry standards to guesthouse and campsite owners along the Kokoda Track. It is designed to support the sustainable growth of the tourism industry, with the Kokoda Track as the first area of focus. “This training was an eye-opener for me and I learned so many new things about managing a business and keeping records, something I did not know and practice before,” said Benson. During July and August, the PNGTPA led consultations with campsite owners. “We were taken through a range of topics, including upkeep of campgrounds, porter accommodation and access to clean drinking water and washing facilities,” Benson said. In the past year, the Australian Government has worked with Kokoda Initiative partner agencies to support more than 75 campsite and guesthouse owners to learn about accommodation standards and ways to meet the needs of trekkers along the Kokoda Track. The Kokoda Initiative works with track communities to improve health and education outcomes along the track corridor and support the economic empowerment of local people.